Parse co-founder Kevin Lacker sent out a final reminder of Parse shutting down at the end of this month. Developers are urged to export any data they would like to save as soon as possible. Parse released the Parse PHP SDK, aimed at enabling Parse integration "for a new class of apps and different use cases." The company also says that this is its "first SDK for a server-side language, and the first to be truly open-source." On Sunday May 11, 2014 mobile backend as a service (MBaaS) vendor StackMob will cease operations. PayPal dictated its closure after eBay's online payment system acquired the company at the close of 2013. Vision Mobile is a UK think tank whose periodic reports are geared to assist mobile developers and other players in the vast mobile ecosystem in making sense of the cacophony of mobile trends. Their reports provide informed guidance that can help devs make the best decision about where to concentrate their marketing efforts. 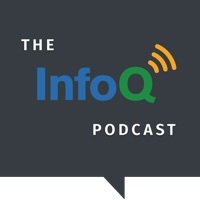 Part 2 of Infoq’s exclusive virtual interview with Anypresence cofounder Richard Mendis. The CMO weighs in on Facebook’s acquisition of competitor Parse and provides intel on the pricing structure of Anypresence. In this third in a series of posts on the new breed of companies offering MBaaS, InfoQ examines what makes Parse tick. Parse, like its growing list of competitors, saves mobile app developers the time and hassle required to create one’s own efficient mobile backend.